How much does the client owe us? Customers have the option to list additional contacts on their profiles. This is especially useful for security purposes and ensuring that the person requesting changes is actually linked to the profile. 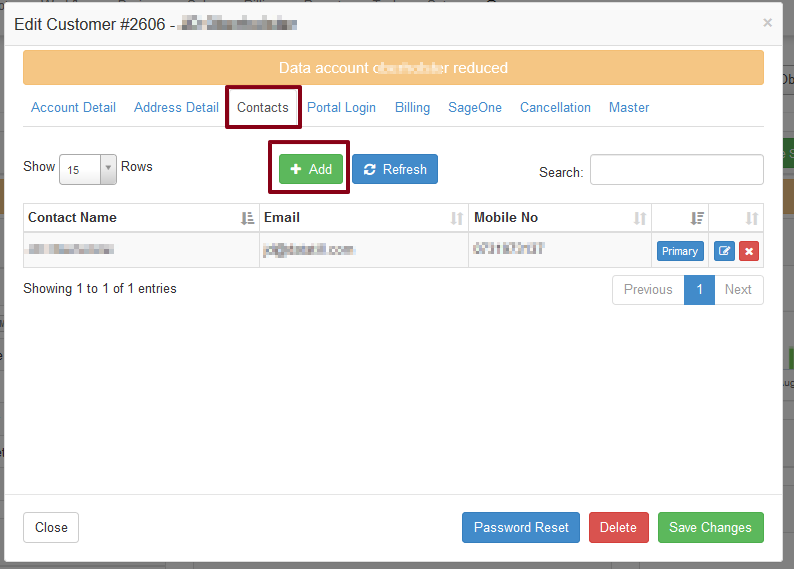 You will be able to add, change and remove additional contact details from the customer profile itself. 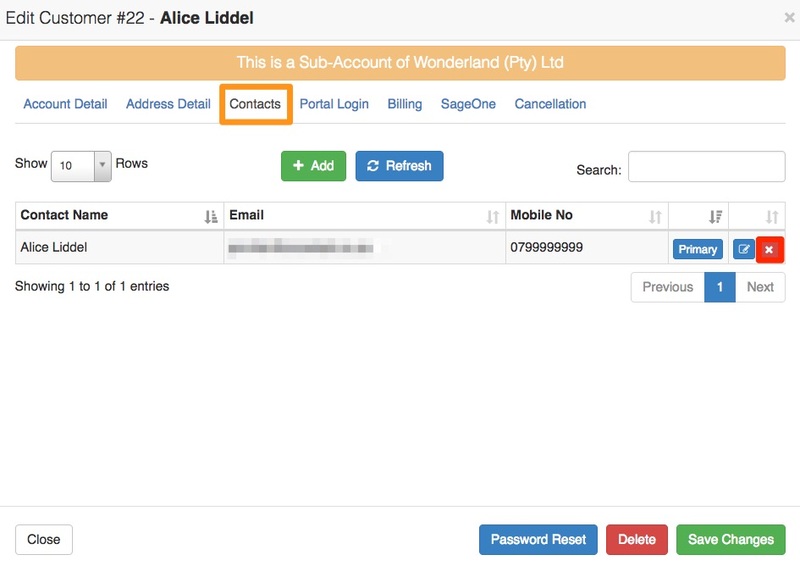 To add additional contacts, go to the customer profile and click on the edit button in the accounts details section. On the pop-up screen, go to the “Contact” section and then click on the “Add” button. Add all the contact details and click on the “Add Contact” button. Remember to press save when you are done adding the additional contact(s). 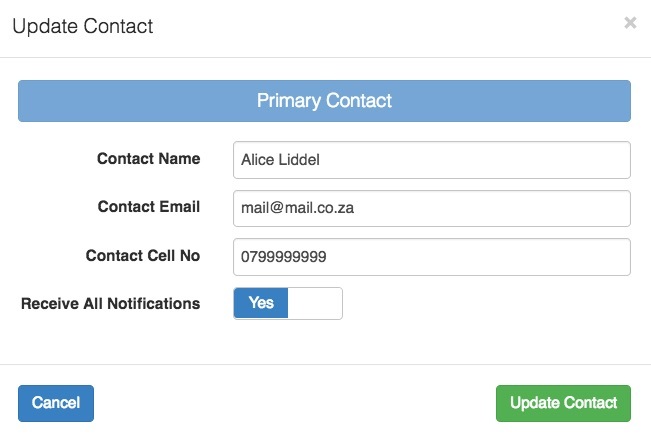 Please note that there can only be one Primary contact on a customer and the primary contact details are what will show on the “Account Detail” tab as well as on the Edit customer screen itself. 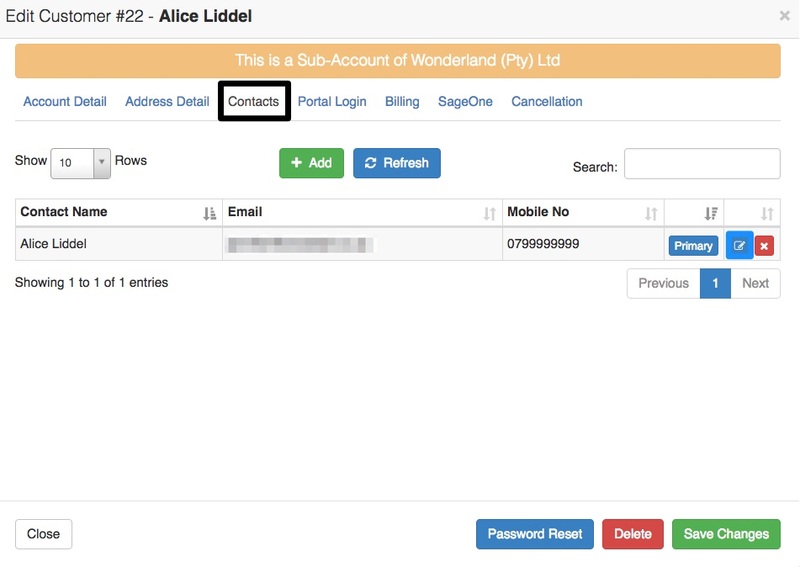 To update the customer contact details or the contact details of the additional contact, go back to the contacts screen and then click on the “Edit” button. On the pop-up screen, change the relevant details and then click on the “Update Contact” button. You will see that the contact’s details have changed. If this is not the case, click on the refresh button. If you are happy with the changes, click on the save button. 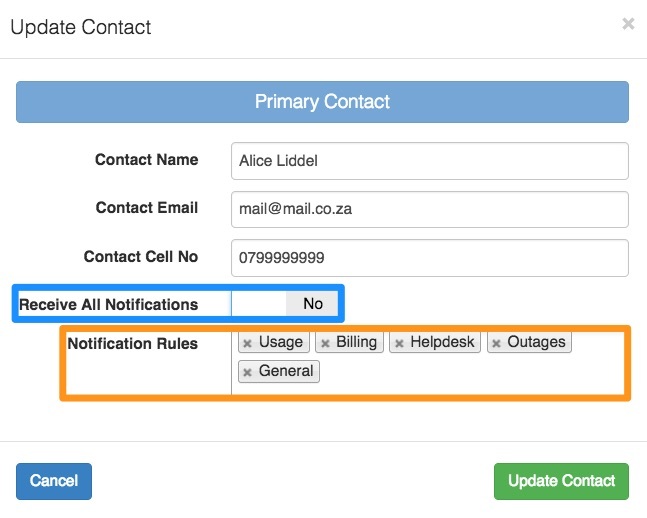 If some of you additional contacts should only receive specific notifications, or there are notifications which they not receive, you can determine this by editing the contact and then changing the “Receive All Notification” section. Once you switch this button to “No“, you will be able to add or remove the notifications which this contact should or should not receive. To remove additional contacts, go to the “Contacts” tab and then click on the red button found the red box. A message will pop-up with the following message: “Are you sure you want to delete this contact? This cannot be undone.” Once you are sure that you want to go through with this action, click on the “OK” button. Please note that you cannot delete primary contacts. 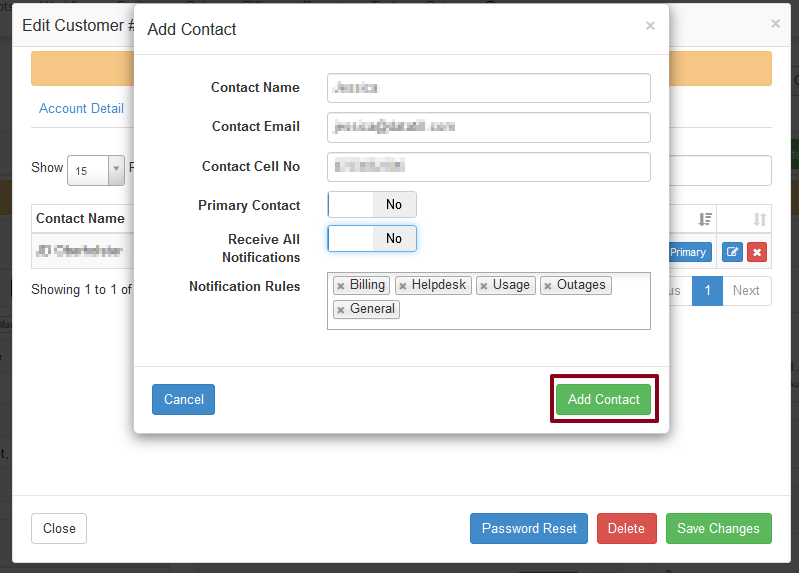 If you would like to delete the primary contact, you will need to change the primary contact to one of your other contacts. Only then will you be able to delete the contact. View our guides for a walk through and explanation of our features. Download our guide on getting a DataTill free trial and signing up with DataTill. The DataTill software solution is a Bandwidth Data Management Platform for ISPs, handling all tasks including sales, billing, monitoring, tickets, reporting, customer self-service, and VoIP importing & billing. © 2018 DataTill (Pty) Ltd. All Rights Reserved.